Offers Google Home-Amazon Alexa Compatible. 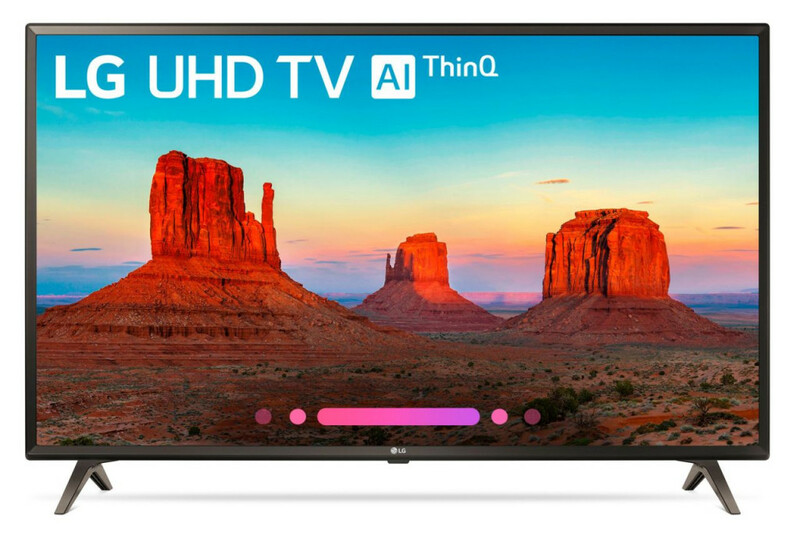 This LG 4K TV supports more premium content choices, all optimized with scene-by-scene picture adjustment, plus LG ThinQ AI, LG Sound Sync, with a immersive rich Ultra Surround sound. A Slim Unibody design that surrounds 4K screen with a barely-there bezel on all four sides.